Laurie here from Stamping Up North. 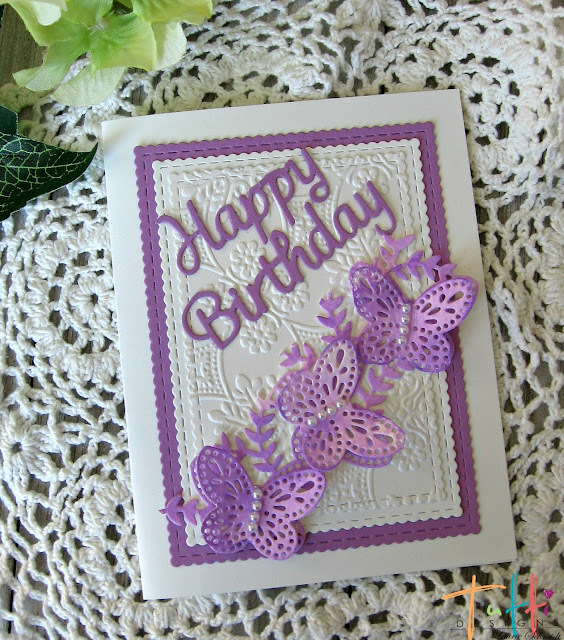 Today I'm sharing a Birthday card featuring Tutti Designs Butterfly Strip. 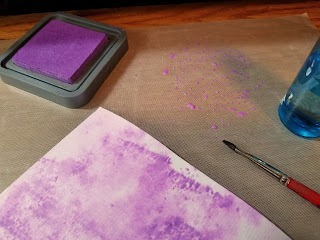 I decided to make some distressed background paper for my card. First I swiped some ink on my mat, then added water. Then I picked up the ink by swiping the paper onto the mat. I also used a brush here and there. 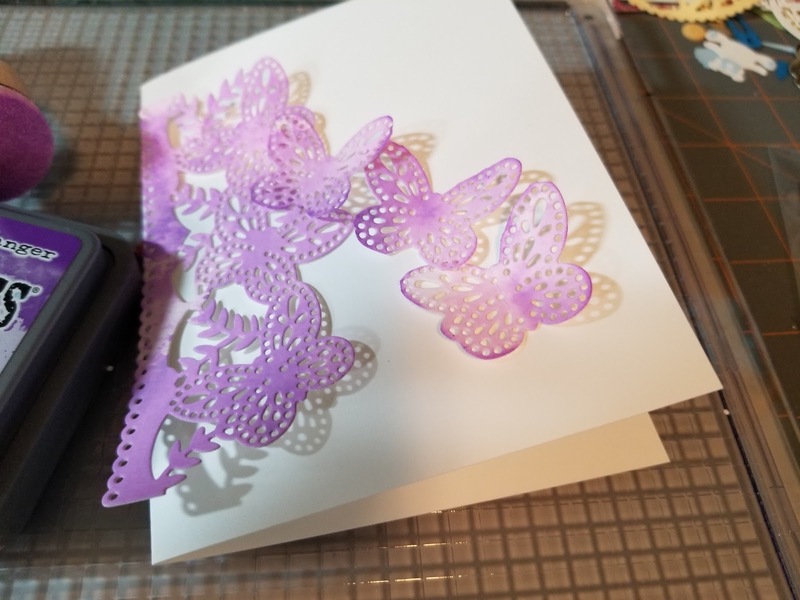 After it all dried, I cut out 2 butterfly strips. I cut the butterflies off of one of the strips and adhered them onto the other strip. I added some tiny pearls in their centers. I embossed some white paper and cut out a scalloped rectangle. Then I cut out a larger purple one too and did some layering. I also cut out a purple Birthday Circle, and fussy cut the words out to adhere onto my card. Just beautiful, Laurie! The lavender is so refreshing! Thinking Spring! 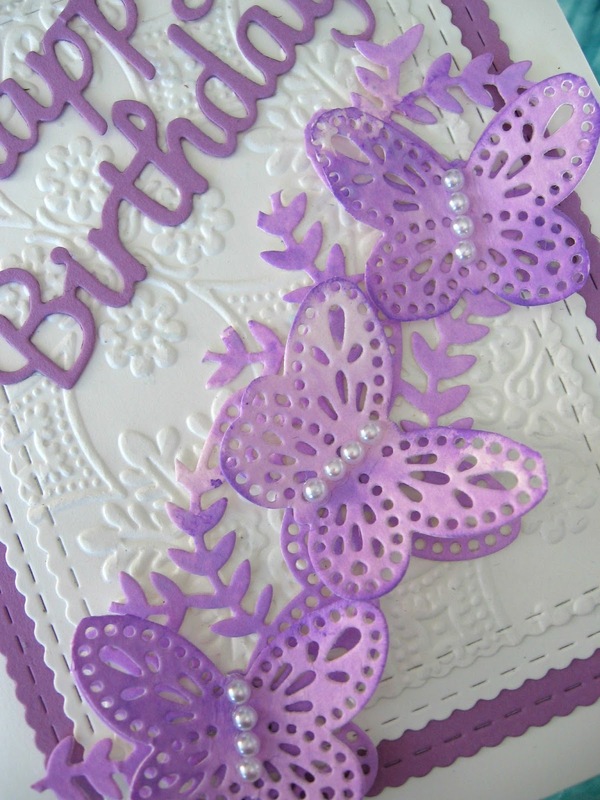 Hi Laurie what a pretty card and I love the butterflies. Soo pretty! Purple is my fave! Sure is pretty, love it, great job! So pretty especially in those colours! 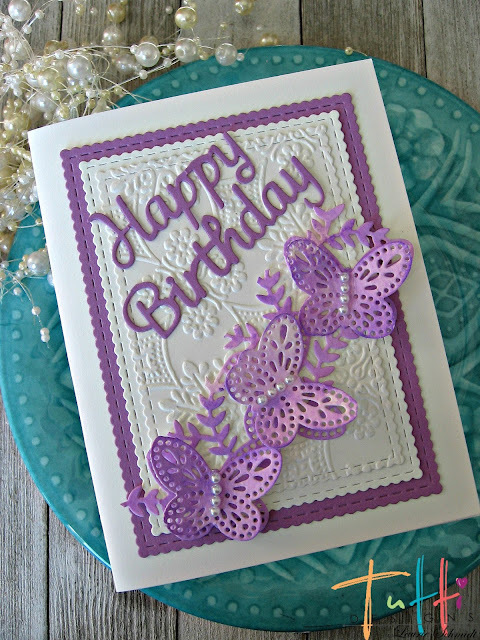 Love this beautiful card, especially the butterflies and the embossing folder. Your watercolored paper made really pretty butterflies. Love this beautiful card. The color is one of my favs and love,love the butterflies.